Our friend Vexta, who is in BOMB IT 2, was recently in Kerala, Kochi in India during the Kochi-Muziris Biennale, which was India’s first Contemporary Art Biennale. The goal of the Kochi-Muziris Biennale is to introduce and create a new mythology around women. This is a theme that is already present in much of Vexta’s work so her participation in the event was a no-brainer. The multi talented Rah Akaishi shot and edited this video of the journey. Vexta : Kochi : India from vexta on Vimeo. BOMB IT 2 will be released on DVD and digital in June 2013. Additionally, new BOMB IT 2 photos and supplemental videos will be released in the coming weeks as well as a website dedicated entirely to BOMB IT 2. Below is the latest BOMB IT 2 trailer. BOMB IT 2 features artists including Alex Face, Ash Keating, Beejoir, Bon, Darbotz, Foma, Great Bates, Husk Mit Navn, Inspire, Killer Gerbil and Zero, Klone, Know Hope, Phibs, Mars, MIC, Sloke, Stormie Mills, Thor, Twoone, Vexta, Victor Ash, Xeme, and Zero Cents, among others. Cities featured include Singapore, Jakarta, Tel Aviv, Melbourne, Perth, Chicago, Austin, Copenhagen, and Hong Kong. It’s that time of year again. We survived the Thanksgiving turkey and leftovers, as well as its shopping aftermath: Black Thursday and Friday, as well as Cyber Monday and Giving Tuesday. I don’t know where these marketing execs are coming up with this balderdash, but it is humorous nonetheless. In any event, it is early December and Art Basel 2012 is in full swing in Miami, Florida. 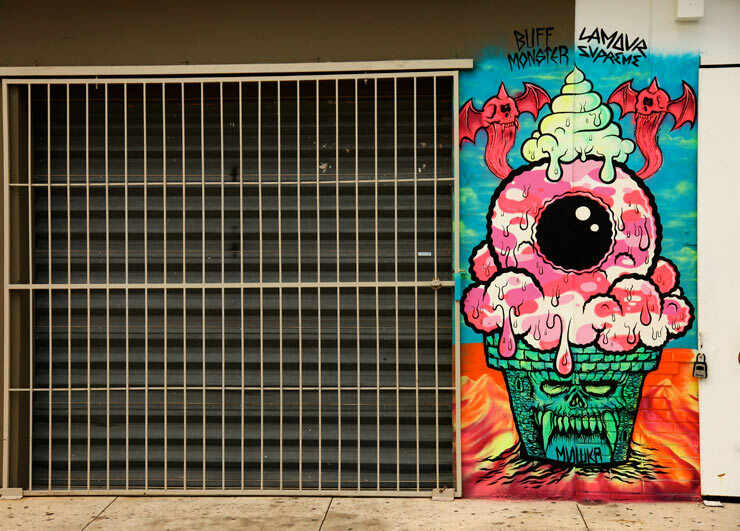 The ugly streets of the Wynwood District are filling up with street artists, street art admirers, and the generally curious. For more information check out the breakdown by BSA’s Jaime Rojo and Steven Harrington. 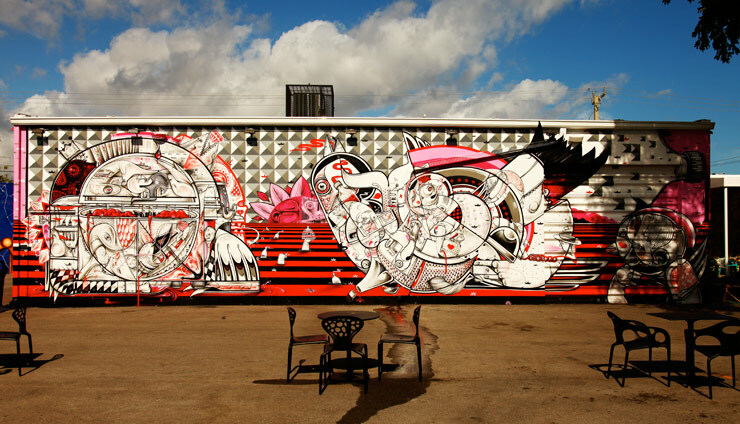 The Graff Lab was host to the 1st annual Piece Fest, a music and art fest in combination with a graffiti battle for “The Chosen One,” a reality TV pilot executive produced by actor David Arquette. I was there documenting the event for the Graff Lab Movie documentary that has been in production since June 2010. LA’s OG Abel faced off with The Massive, who flew halfway around the world from Australia to compete in the live graffiti battle. Among the judges were pro snowboarder Danny “Dingo” Kass, actor David Faustino and musician Shifty from Crazytown. It was great to see so many people come out to the event. Saler came through, Moezart, Keve, Seze, Po3ms, and many more.